Spa Days All spa days include a day of relaxation designed just for you. On arrival you will be offered a herbal tea at our street café. You will then have unlimited access to our resort; pool, sauna, steam room and gym are all complementary. A delicious afternoon tea will be served in our lounge and you can enjoy your treatment pre or post lunch. Spa robes & towels will be provided. 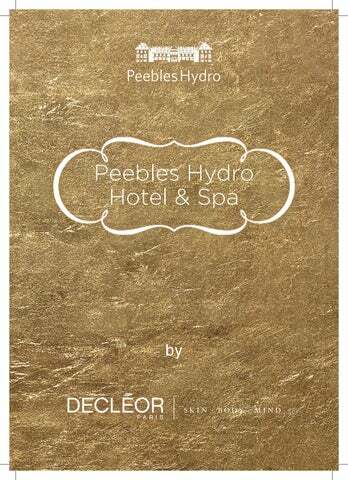 • DECLÉOR Vitamin Glow Facial • DECLÉOR Aromatherapy Massage • DECLÉOR Radiant Mum to Be Treatment Plus enjoy 10% off all DECLÉOR retail on the day. Over 18 only. 6 people or less. Non-residential guests only. DECLÉOR Facials DECLÉOR’s holistic facials are famous worldwide for their heavenly feel and simply stunning results. The use of 100% pure, preservative-free essential oils address the demands of every single skin type to leave all complexions balanced, comforted and glowing with health. Discover why DECLÉOR facials are world famous with this rescue remedy. Includes revitalising massage, essential oils and a gentle polish to wake up tired skin leaving it fresh and radiant. Every man’s key to better looking skin. Our fatigue-fighting, anti-ageing treatment reduces shaving bumps and irritation whilst re-invigorating skin. Skin is soothed, moisturised and looks re-invigorated. Energising but luxurious, specialised massage helps recharge skin tissues while an indulgent, collagen-rich mask infuses the complexion with skin-plumping nutrients. The skin’s natural renewal process is kick-started for firmer, radiant skin. You might also know this as the award winning DECLÉOR Yoga Lift facial, who needs the gym when you can get great skin from a facial! Power-packed with vitamins and anti-oxidants, this award winning facial melts away stress. Combines a rebalancing essential oil elixir plus warm, decongesting mask for skin thatâ&#x20AC;&#x2122;s purified, perfectly replenished and glowing. DECLÉOR Body Treatments Every day stresses and strains simply disappear with our heavenly aromatherapy massage to either relax, detoxify, tone or stimulate. The incredibly soothing sensation of the warm aromatherapy balms melt away tension and ease stress for renewed energy and velvety skin. The most blissful way to soothe body and mind. Your therapist will work in harmony with smooth, heat-releasing stones. Individually shaped, these stones help release tension, soothe aches and rebalance energy levels. The use of luxuriously melting aromatic balms ensure skin emerges soft as silk too. Relax. Take time out. The Hydro Massage is aimed at relaxing and removing the tension held in the body. Many want to take the therapist home with them, but I’m afraid we don’t allow this, sorry. Choose from a full body or back massage. Intensely de-stressing scalp treatment to banish tension and aid restful sleep. Power point massage includes rosemary and lavender essential oils to invigorate and calm leaving a feeling a pure serenity. Top tip….add it you your hot stone massage for a truly relaxing and indulgent experience. Not quite Scotland but instead inspired by the magical island of Madagascar, powdered fruit seeds and spices are used to polish skin leaving it exceptionally soft. Includes massage with warm aromatherapy oils to de-stress and re-energise. After a long day of cycling or hiking this is the ideal treatment for you. A super-stimulating envelopment to improve poor circulation, ease aching muscles and fight fatigue. Excellent for treating cold hands and feet, ideally suited to those who enjoy an active lifestyle. Treat sore and aching feet to a restorative purifying exfoliation, deeply relaxing massage and nourishing mask to banish dry, cracked heels leaving skin smoother and brighter. Signature Treatments Our signature treatments have been created just for you based on our history, story and values. 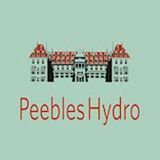 Don’t worry, although we are a hydropathic spa gone are the days of freezing cold waters. Using the heart of our hydropathic history and philosophy, our hydro-ate signature treatment promises relaxation and restored balance. A relaxing back massage contrasts with the warm comfort of basalt stones against cool marble. A bespoke DECLÉOR facial will leave your skin looking refreshed and radiant. What’s not to love? An aromatherapy full body experience, that’s all about your wellbeing. Apparently, it combines nature’s purest and most potent active ingredients, we’ll take DECLÉOR’s word for that. All we know is the exfoliating massage & facial leaves you glowing. Beautiful Bumps: Mum To Be Every day safe and nurturing pregnancy ritual, suitable for pregnancies over 12 weeks. Combining a divine body massage, tailor-made facial and soothing mask, this rejuvenating and relaxing treatment has been specifically created for the needs of new mums. Leaves skin perfected and strengthened… and you unwound.